The LACRIMAL GLAND is, in anatomical terms, an extramural gland of the ocular surface - comparable in principle to role of the liver as an extramural gland of the intestinal tract. The lacrimal gland had to migrate out of its tissue of origin, which is the conjunctiva, because the required secretory capacity of tears is too large to be produced inside of or close to the conjunctiva. The conjunctiva is on the temporal side connected to the lacrimal gland by several excretory lacrimal ducts that open in the temporal conjunctival fornix. One of the ducts is seen the histological micrograph below. The lacrimal gland is similar in principle too, but larger and more distant than, the accessory lacrimal glands, that are located in immediate vicinity of the conjunctiva. They are located in the orbital connective issue (Glands of KRAUSE) and in the tarsal plate (Glands of WOLFRING). The accessory lacrimal glands are connected by a similar but shorter excretory duct compared to the lacrimal gland - and only one duct is sufficient for each accessory since the produces tear volume is much smaller. On the nasal side of the conjunctiva it extends continuously into the LACRIMAL DRAINAGE SYSTEM. This extends from at the lacrimal puncta of the lid margin further along the lacrimal canaliculi and lacrimal sac towards the exit into the nose (see images below). The organs of the Ocular Surface are ANATOMICALLY CONTINUOUS as can be seen in Histology. The lacrimal gland is connected via its several excretory ducts (top left: histological micrograph) and the lacrimal drainage system extends continuously from the lacrimal puncta (scanning electron microscopic image, right middle) and further along the lacrimal canaliculi (histological micrograph of longitudinal section, bottom right). The organs of the ocular surface belong together in embryology because the lacrimal gland and the lacrimal drainage system are embryological sprouts of the conjunctiva that extend into the periphery. They form the mucosal ocular adnexa, but remain anatomically continuous with the conjunctiva and assist it in function for tear delivery and tear drainage, respectively. to their drainage into the nose. 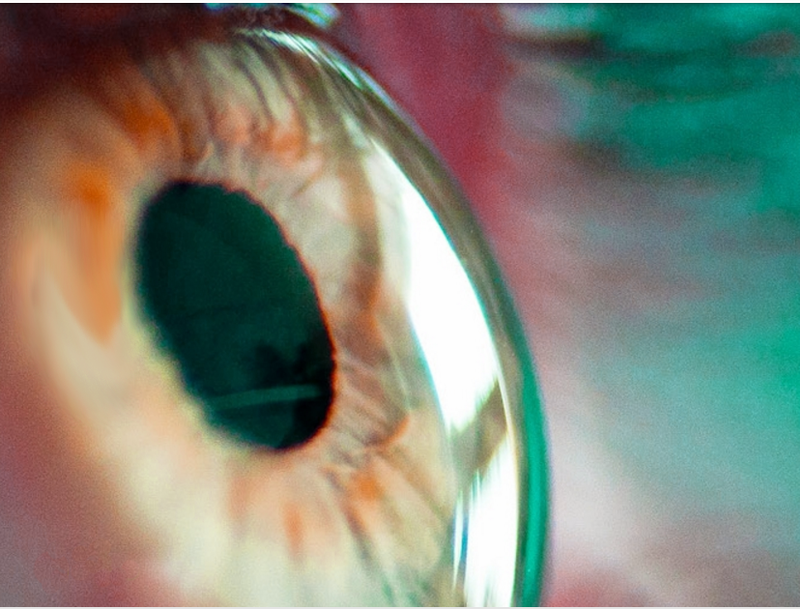 Through the tear flow, the organs of the ocular surface conceivably share the same protective and aggressive factors. Therefore, a regional mucosal immune system is present in form of a lymphoid tissue. A regular mucosal lymphoid tissue is continuously present along the complete ocular surface unit in order to combat dangerous antigens that could harm the tissue. The mucosal lymphoid tissue was found in all normal human Ocular Surfaces and extended from the gland, over the conjunctiva and into the drainage system. 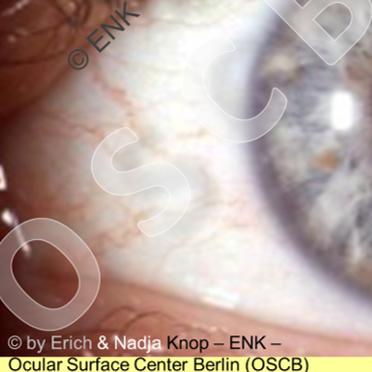 It was first conclusively verified in a large study by members of the Ocular Surface Center Berlin (OSCB). The study started in the beginning of the 1990ties. Results were regularly presented at international congresses and published in peer reviewed articles e.g. in the international scientific journal Investigative Ophthalmology and Visual Science (IOVS) in the years 2000 and 2001. The mucosal immune system of the eye was termed as the Eye-Associated Lymphoid Tissue (EALT), in line with the standardized nomenclature for the mucosal immune system, as a new part of the mucosal immune system of the body. The discovery of the physiological presence of resident protective lymphoid cells at the ocular surface has contributed to a change of paradigms on health and disease in this region.